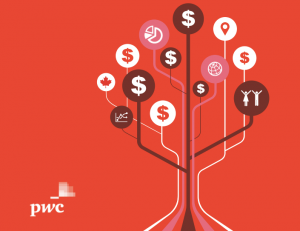 In PwC Canada’s lastest MoneyTree report analyzing the Canadian VC landscape, there were two particular trends that stood out: a rising interest in AI, and a rise in corporate deal participation. The latter is a common story in the startup world, with financial institutions partnering with startups for access to nimble teams and emerging technology, and international tech giants like Microsoft scooping up talent within the Canadian tech community. According to the PwC report, 26 percent of all deals to Canadian companies in Q2 2017 included at least one corporate or corporate venture capital investor, reaching an eight-quarter high since Q3 2015. To PwC Canada National Deals Technology Leader Michael Dingle, this trend is expected to continue as corporates see investing in tech companies as an effective way to engage with the tech sector. “Corporations are seeing the technology sector as an opportunity for them to learn, so some of these venture investments are seen as tuition for these large entities to learn about a burgeoning aspect of technology, or the capacity for them to outsource an R&D function to the tech sector,” Dingle told BetaKit. At the same time, Canada is increasingly becoming a more attractive funding environment thanks to its quality of life, an openness to immigrants and diversity, and a strong education system. “Stir that together and look at other markets like the US that are trending in opposite directions on some of those key topics, and you end up with a repatriation in talent, increased interest in Canada as a whole, and the productivity of the sector lifts as a result. The tide is rising,” said Dingle. But what does this rise in corporate participation mean for Canada? In an environment with a reputation for gaps in later-stage funding, Dingle said that a rise in corporate investor participation could contribute to bridging the divide. He forecasts that in the future, there will be more Canadian participation in later stages, as more entrepreneurs exit and start putting money back into the economy. Canada is also getting a reputation for its strong AI talent in Montreal and Toronto, an area that every company is scrambling to lead. In fact, Element AI’s major $137.5 million funding round was a key driver in Q2’s surge of corporate participation. It’s a natural progression of the “data economy” spurred by mobile and social that is now moving to artificial intelligence. “You have this huge sector that is trying to figure out how to extract value from that data. It started as analytics back in the day, and moved into business intelligence, and now we’re seeing machine learning and deep learning, which the market refers to as AI. But we’re not yet at AI; AI is where we’re going,” Dingle said. As more international companies start paying attention to Canada, they’re establishing labs and making acquisitions to take advantage of the talent — though not everyone in the startup ecosystem responds well to foreign companies profiting off Canadian talent. To Dingle, having more broad-based interest in Canada would be a boon to the economy. “We want organizations to come here to set up bases of operation, hire people who make the wheel turn, and pay their taxes and contribute to the Canadian economy,” said Dingle. W|W: The Wearable Weekly – Is BlackBerry building a smartwatch?